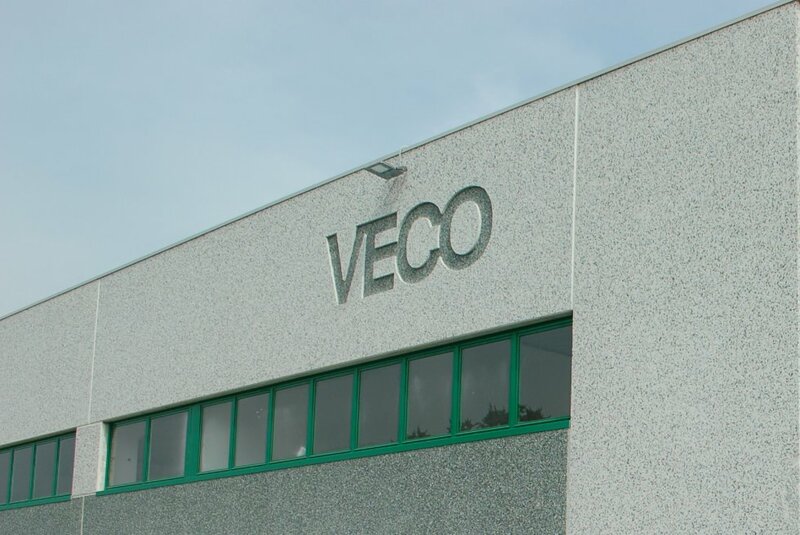 Veco was founded more than forty years ago by the will of some people, very experienced in the chemical and tanning fields, to join together and set goals, even ambitious and long-term. After forty years we can say that we managed to achieve many of those goals and to spread them out to new markets around the world. Veco is now a well established reality that continues to approach the market in a concrete way and it's composed primarily of chemical engineers, laboratory technicians, external sales engineers and of course of employees and production personnel. Veco is located in a green area on the outskirts of Vicenza immediately behind the largest and most important italian area for ​​the leather, Arzignano; Veco is built on an area of ​​about 15,000 square meters, 5,200 of which are covered. Within these sheds are placed the stock of raw materials and finished products, the production department for polyurethane resins, pigments, auxiliary and other minor activities, while a wing of 800 square meters has been set aside for offices and laboratories. The big advantage is that Veco produces 95% of its sales, while only 5% is sold from other makers. From a point of view of plant Veco is well endowed relying on modern machineries for the production of pigments and by a series of reactors of different capacities for the production of polyurethane resins and other products as well as a good number of taps for the production of auxiliary and compounds. Its production capacity is currently about 300 tons / month. Veco decided from the outset to address its interest in the tanning industry, and more specifically to the leather finishing, sector in which Veco has become increasingly specialized over the years. It has passed from the production of pigments only to the production of water based and solvent based auxiliary, with an important production of polyurethane resins. The strength of the Veco remains however, the creation and the development of complete systems of finishing with particular attention to the chemical / physical properties.